Join us as we bring together the East Austin restaurant community, leaders and professionals to explore the concept of multi-use spaces in an increasingly digital/remote work economy. Join us as we bring together the East Austin restaurant community, leaders and professionals to explore the concept of multi-use spaces in an increasingly digital/remote work economy. Austin has the highest percentage of remote workers than any other US metro area, and it’s growing due to technology employers in the area. At the same time, restaurant industry in the city is booming but experiencing challenges amidst rising rent and labor costs. We’re looking through the lens of open doors and the idea of underutilized space as to how to address both of these challenges. 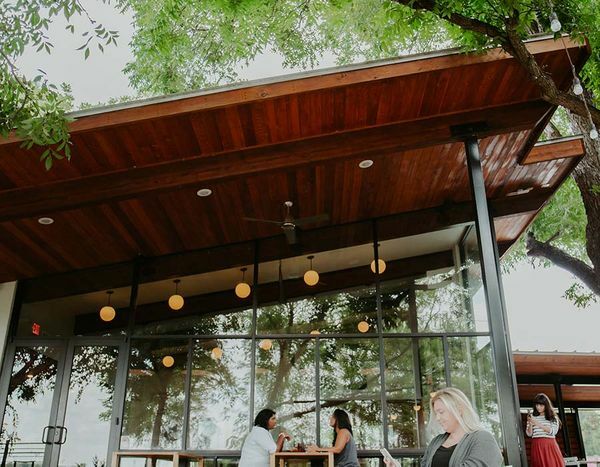 Join us for a studio tour at Tillery Restaurant & Bar, to see how Reset partners with Austin’s local, independent restaurants to turn them into comfortable, affordable workspaces in the hours they are not open for service. Explore how we can change the context of how we view a restaurant and a workspace, and how opening the doors to these otherwise closed spaces is enabling people to do their best work, and connect with their local restaurant community. Reset has one mission - to enable people to do their best work. We partner with dinner-only, independent restaurants in Austin to convert them into workspaces during the day for freelancers, creatives and remote workers. Our locations can be found in Clarksville, East Austin and Mueller - all equipped with comfortable seating, fast wifi, plenty of plugs and bottomless coffee/tea at an affordable price.